Old map by PICHON - Art déco label for Parfum Mary France. Title: Art déco label for Parfum Mary France. 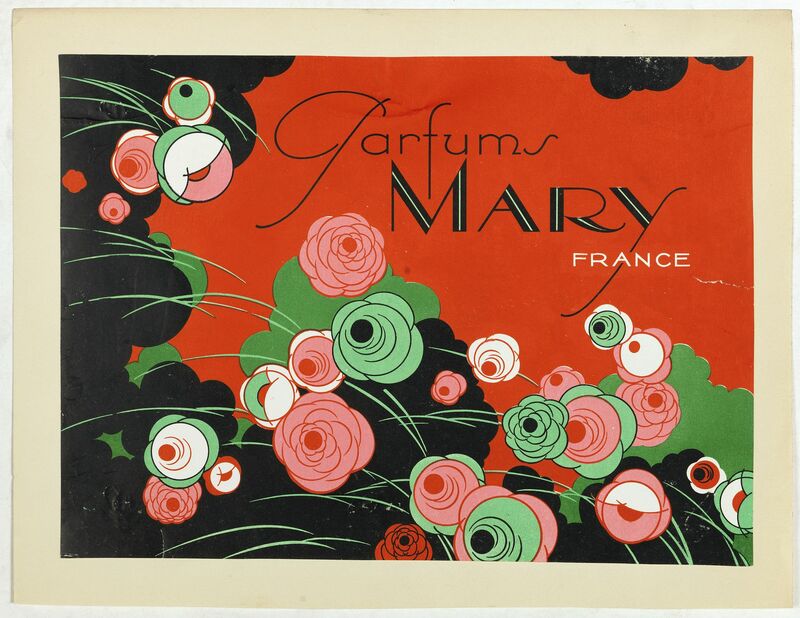 Lithographed perfume label " Parfum Mary France " laid on original cardboard sheet. A striking example of commercial artworks produced by the artist and graphic designer Robert Pichon and his Parisian studio Ateliers de Dessin & Lithographie R. Pichon.